Looking For Odor Elimination Services In Edmonton And Surrounding Areas? Does the smell make you uncomfortable when your family or friends come over? Have you listed your home and afraid the smell will offend buyers? Recent water or fire damage and you want you new home smell back? Admirable Inspection Services offers odor elimination services for pet urine and feces, mold odour, decay, food odor, sweaty sports equipment, fire and flood odor, and cigarette smoke. We can do odor elimination in residential and commercial buildings, cars, trucks, buses, sports equipment, boats and just about anything with foul odour that need to be removed permanently. Once an appointment has been set, Admirable Inspection Services will need your house to have no inhabitants, pets, or plants from 4 to 24 hours. Once the home is ready, we use commercial ozone shock generators to completely remove the odor from the home at the molecular level, guaranteed! The process from start to end takes about 4 to 24 hours. Ozone is a natural element in the air we breathe every day and is compromised of three molecules of oxygen. The ozone shock generators generate high concentrations that remove odor but is safe for the environment. In extreme cases, Admirable Inspection Services may have to use a special cleaning agent as well as the ozone shock generators. Admirable Inspection Services will do odor elimination services in surrounding areas as well, including St. Albert, Spruce Grove, Stony Plain, Sherwood Park, Devon, Fort Saskatchewan, Ardrossan, Acheson, Leduc, Calmar, Beaumont, Bruderheim, Morinville, Nisku, Gibbons, Camrose, and Villeneuve and more. Extra mileage applies. Animal Odor – Over a billion dollars are spent annually to cover the smell of our beloved animal friends. And are some of the most difficult odors to remove. animal urine, animal hair, and animal feces require ozone shock treatment to completely remove the bad odour. Apartment Odor – – Tenants can keep pets, leave behind food odor in the walls, and not clean spills properly all leading to nasty smells and odors when they vacate. If you want to have a new fresh smell to show to your new prospective clients get an ozone shock treatment to remove the smell at the molecular level. Automobile Odor- Automobiles have small interior spaces and are really susceptible to odour such as cigarettes, and stagnant water and air conditioning. Get that new car smell again with an ozone shock treatment that guarantees complete odour removal. Bar Odor – Bars over time can smell old and musty from tobacco smoke, spilled beverages in the carpets, and an accumulation of human hair and skin in the crack and joints of the floor. To keep your current clients and attract new clients a regular ozone treatment will go a long way to keeping your bar smelling fresh and clean. Bingo Parlors – Cigarette smoke is probably the major cause of odor at a bingo hall. Also, the wide variety of odors brought in on the bottom of all the bingo players shoes will add a nasty odor to most halls. You can try chemical masking agents or use ozone to eliminate the smell for good. Boat Odor – Boats are a natural attractant for odor. Moisture is all that’s needed for mold to grow and boats have an abundance. Mold odor, fish odor if boat is used for fishing, spilled food and beverages, diesel, gasoline all contribute to the odor you would rather not smell. A one-hour ozone treatment can eliminate these foul odors for good. Casino – Cigarette smoke is probably the major cause of odor at casinos. Also, the wide variety of odors brought in on the bottom of all the casino players shoes will add a nasty odor to most casino floors. Commercial odor elimination chemicals only mask the odor and leave a chemical residue behind or use ozone to eliminate the smell for good. Cigarette Smoke – Contains chemicals that cling to surfaces and contribute to foul odor and can create toxins which lead to an unhealthy environment in the home. Cigarette smoke also contains numerous chemicals that are hazardous to our health. Classroom Odor – Children are active people and are in various states of cleanliness. This combined with food odor, spilled beverages and food in floor cracks, can all contribute classroom odor. Coffee Shop Odor – Food odor, deep fryers, cooking residue, all contribute to coffee shop smells that are not always welcoming. If you are worried about losing business to odor use a regular ozone treatment to keep your coffee shop smelling fresh. Daycares – Little children love to put any item possible in their mouths. And Daycares are havens for bacteria and viruses as almost all the toys and other items are shared. Eliminate the risks with an ozone treatment from a commercial ozone shock generator. Dormitory Odor – Young adults do not have a reputation for being overly clean. Abandoned lunches, pizza boxes, sweaty socks, unclean bathrooms, spilled beverages, food odor, blend to create bad dormitory odor. Fire Damage Odor – Fire damage is a combination of many bad smells. After a fire, water from the fireman is left to stagnate and create mold. Smoke odor from the fire itself included burning plastics, paint, insulation, carpet, food in storage and all combine for nasty odor. Save yourself time and money by getting a commercial ozone shock treatment to kill all the smells at the source. Fire And Flood – Are both major concerns for the homeowner. Both leaving major odor problems after the renovation. Smoke can penetrate walls and ceilings. Water from the flood can penetrate walls and carpet increasing the chances for mold and mildew smell. Eliminate both of these nasty odors with a commercial ozone shock generator. Food Odor – Some of our favorite foods permeate walls and ceilings with their odor. Fish, deep fried food, curry, onions, garlic, cooking oil, all leave lingering odors we would rather not have our friends and family smell when they visit. An ozone shock treatment will penetrate and eliminate the pesky food odors. Home Odor – Cooking, pets, body odor, tobacco smoke, garbage, mould, and mildew all contribute to bad home odor. Hotel Odor – Smell develops in hotel rooms from tobacco, body odor, spilled food and beverages, and sometimes pets. These odors can penetrate areas that are not covered by hotel cleaning protocols. Ceilings for example. An ozone or 03 treatment can and will destroy these odors at the molecular level. Regular o3 treatments will keep your hotel smelling fresh for you new guests. Kitchen Odor – Accidental burned food, fish, onions, garlic, curry, deep fried food leave an foul odour we would rather not have our friends smell when they visit. Cleaning the kitchen with chemical cleaners is not a good solution as it leaves hazardous chemical residues on food preparations stations. Limousine Odor – Limousines have small interior spaces and are really susceptible to bad odour such as cigarettes, stagnant water, and air conditioning. Get that new limousine smell again with an ozone shock treatment that guarantees complete odor removal. Locker Room Odor – Moisture from showers, steam, sweat and body odour all contribute to foul locker room odor. Clients will be doubting the janitorial staff did their job as these lingering odors will still be present after they clean. Trouble is that these odours penetrate where cleaning staff cannot work including, ceilings, and cracks not visible to naked eye. Ozone eliminates this problem as the ozone generated travels to spots even janitorial staff cannot clean. Mildew Odor – Mildew, often located in moist areas of your home, bathrooms, kitchen, and basement can lead to bad odor in 48 hours or less. If left untreated can become a serious problem in a very short time. While ozone shock will not kill mildew, it can eliminate the mildew odor once proper mildew remediation to stop moisture is complete. Mold Odor – Mold, often located in moist areas of your home, bathrooms, kitchen, and basement can lead to toxic odor in 48 hours or less. If left untreated can become a serious problem in a very short time. While ozone shock will not kill mold, it can eliminate the mold odor once proper mold remediation is complete. Motel Odor – Smell develops in motel rooms from tobacco, body odor, spilled food and beverages, and sometimes pets. These odors can penetrate areas that are not covered by motel cleaning protocols. Ceilings for example. An ozone or 03 treatment can and will destroy these odors at the molecular level. Regular o3 treatments will keep your motel smelling fresh for you new guests. Office Odor – Odor in the office develops for a variety of reasons. Moisture can lead to musty smell from mold and mildew, body odor, spilled beverages and food, and occasional tobacco smoke. These odors can penetrate ceilings, ductworks, carpet, and curtains. Cleaning sometimes is just not enough to get to kill odor in all these areas. Pet Odor – Over a billion dollars are spent annually to cover the smell of our beloved animal friends. And are some of the most difficult odors to remove. Pet urine, pet hair,and pet feces require ozone shock treatment to completely remove the bad odor. Pool Hall Odor – Pool halls over time can smell old and musty from tobacco smoke, spilled beverages in the carpets, and an accumulation of human hair and skin in the crack and joints of the floor. To keep your current clients and attract new clients a regular ozone/o3 treatment will go a long way to keeping your pool hall smelling fresh and clean. Pub Odor – Establishments that serve drink and food regularly are prone to smell from spilled beverages, body odor, tobacco smoke, and humidity. Microorganisms flourish in these environments and food inspectors frown upon any bacteria ,microorganisms, and mold. These odors are a gas and can penetrate areas not accessible for cleaning. A regular schedule of 03 treatments will keep even the busiest pubs fresh and clean and your food inspector happy. Real Estate Odor – Have a real estate property that won’t sell due to bad odor? Thinking about listing a home but cannot get rid of years of accumulated odor? Tried cleaning and painting and the odor still remains? O3 shock treatment will penetrate walls, curtains, carpet, paint and furniture to eliminate bad odor forever. Rental Car Odor – Automobiles especially rental cars have many difficult areas to clean. Heater vents, under seats, carpet, sound proofing, and trunks creating a cleaning nightmare. Smoke, spilled beverages, body odor all accumulate over time in the small confined areas of a car or truck. Ozone is a gas and will travel freely to all those hard to clean spaces leaving your car with that fresh new car smell. Rental Property Odor – Tenants keep pets, accumulate food odor in the walls, and do not clean food and beverage spills properly all leading to nasty smells and odors when they vacate. If you want to have a new fresh smell to show to your new prospective clients get an ozone shock treatment to remove the smell at the molecular level. Restaurant Odor – Accidental burned food, fish, onions, garlic, curry, deep fried food leave an odor we would rather not have our guests smell when they visit. Cleaning the restaurant with chemical cleaners is not a good solution as it leaves hazardous chemical residues on food preparations stations. Food inspectors are looking for spotless and odorless free environments to give their stamp of approval. Give your clients and the food inspector the fresh clean environment they will love. Recreational Vehicles – An RV left in storage with unwashed clothes, items in the fridge, septic residue, or a sandwich in between a seat cushion are all concerns for bad and nasty odor. Instead of losing money trading in for a new RV, get an ozone shock treatment to get that new smell back. School Odor – Children are active people and are in various states of cleanliness. This body odor, combined with food odor, spilled beverages and food in floor cracks, can all contribute to school odor. Ozone shock can eliminate this odor as well bacteria and viruses that are spread in schools. Smoke Damage Odor – Are major concerns for the homeowner. Leaving troublesome odor problems after the renovations are complete. Smoke can penetrate walls and ceilings. Water from the fireman can penetrate walls and carpet increasing the chances for mold and mildew smell. Eliminate both of these nasty odors with a commercial O3 shock generator. Sports Equipment – Sweat and sports equipment create a perfect breeding ground for bacteria and an overwhelming bad odor. These bacterias can lead to staph infections and damage your equipment over time. An Edmonton-based company Admirable Inspection Services can have your equipment smelling like new in an hour. Tobacco Odor – Contains chemicals that cling to surfaces and contribute to foul odor and can create toxins which lead to an unhealthy environment in the home. Tobacco smoke also contains numerous chemicals that are hazardous to our health as third-hand smoke. Tour Bus Odor – Tour buses are home to many odors including body odor, spilled food and beverages, tobacco smoke, diesel, gasoline, burnt oil on motor, exhaust and unsanitary bathrooms. Water Damage Odor – Odor from water damage is a major concern for the homeowner. Water from the flood can penetrate walls and carpet increasing the chances for mold and mildew smell. 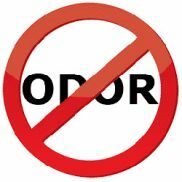 Eliminate these nasty odors with a commercial 03 treatment that destroys the smell at the molecular level. Wildfire Odor – Smoke from a wildfire contains hundred of chemicals that can make a home smell really bad. Most people try to clean and paint but that cannot get the odor out at the molecular level. Only a treatment of 03 can totally eliminate this smell. Vehicle Odor – Cars and trucks have small interior spaces and are really susceptible to odor such as cigarettes, and stagnant water and air conditioning. Get that new car smell again with an ozone shock treatment that guarantees complete odor removal. Call Admirable Inspection Services today to have their trained technicians perform your odour elimination services the right way, the first time!